Im currently working on a simple day and night time cycle, and I have everything working correctly, but Im having an issue when it comes to absolute darkness. When the stars appear in the sky there is a white gradient on the horizon that obviously doesnt look good. Im not quite sure how to fix it because whenever I edit the C_sky_horizon_colour file it doesnt correctly change the colour. I was able to fix it with just simply changing around a few things in the colour file. Possibly it is fog. 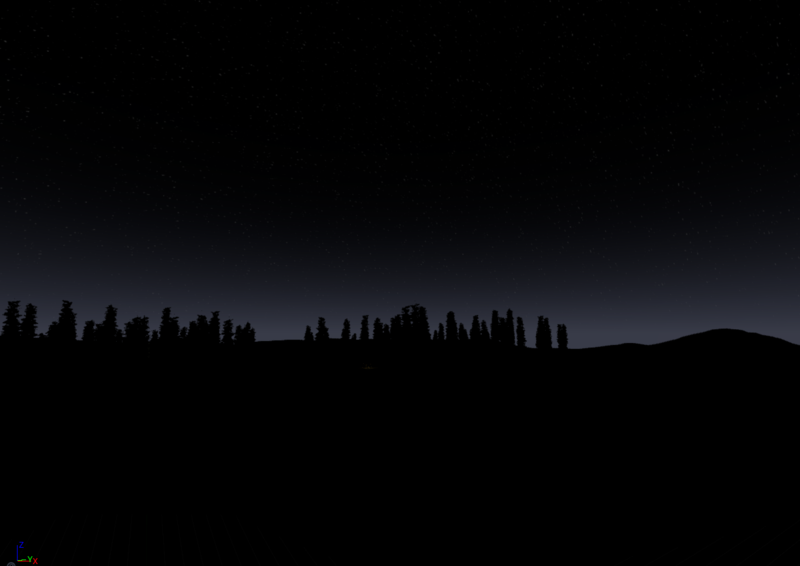 Trees on a foreground are not lit, so volumetric fog will not affect them, but sky is always lit. Try find exponential/height/volumetric fog actor in your scene and disable it. Or maybe you need to update sky with boolean tick somewhere in sky settings. To remove the Horizon Fog from the Sky Sphere follow these steps. You can also do this step in the Clouds Curve to remove clouds to have a completely black sky with stars. How to toggle lights only when it's night? What's the best possible sky box I can create?